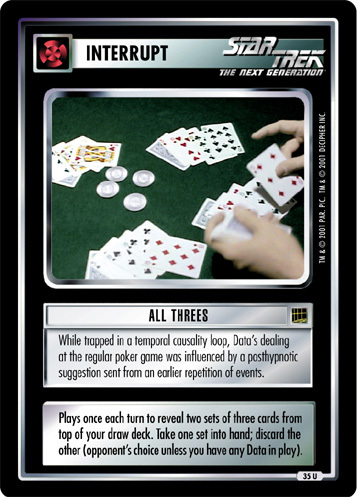 While trapped in a temporal causality loop, Data's dealing at the regular poker game was influenced by a posthypnotic suggestion sent from an earlier repetition of events. 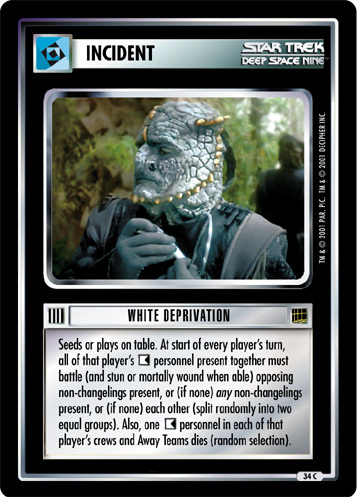 Plays once each turn to reveal two sets of three cards from top of your draw deck. 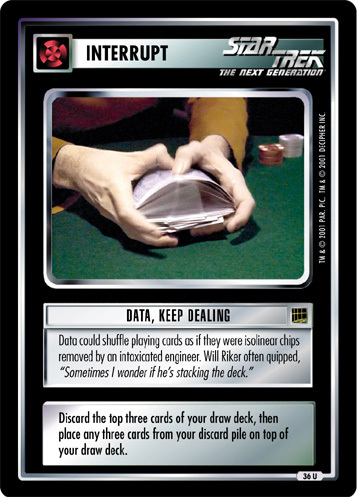 Take one set into hand; discard the other (opponent's choice unless you have any Data in play).